Update. Finally borrowed the 32mm from another shop. Exhaust manifold new Looks like that hole was part of the oil pressure system. However it filled in on this engine. It goes nowhere. Got the ps done, radiator and transmission cooler lines. However 87 and 89 hoses are different. Which is better? Transmission front seal tc and bearing holder are also done, half shafts rebooted and installed. Next week engine rear main seal, fuel system, I should have the tt bearing sleeves too. Got a lot done on my holidays. It's all back together mechanically. Now dealing with the electrics. I can't find where this 8 pin plug connects. Any assistance will be greatly appreciated. Yep looks like the coding plug. 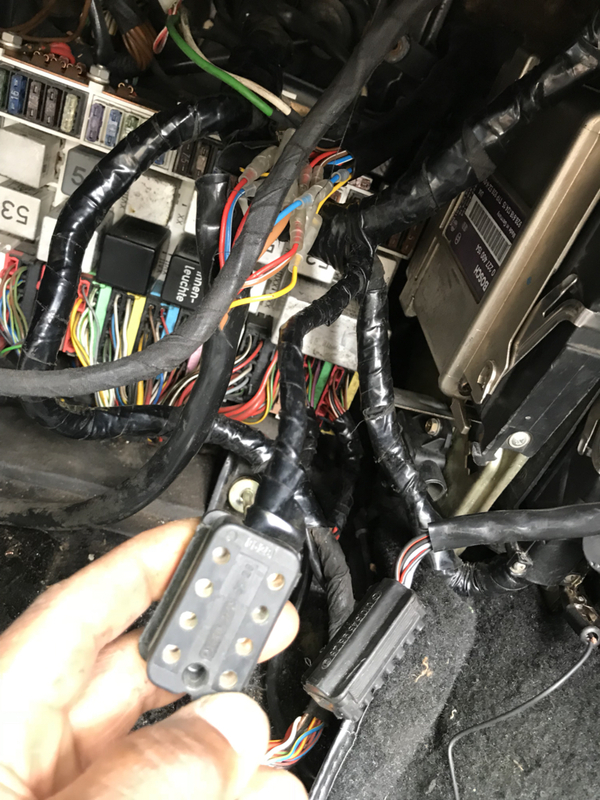 Make sure you check the wiring on that connector against the wiring diagram, as well as using the correct coding plug (87/88 is different from 89+ electrically.. will pass unfused current if you use an '89 coding plug in an 87/88 early harness - I found out the hard way and burnt some ground wires through the LH harness). 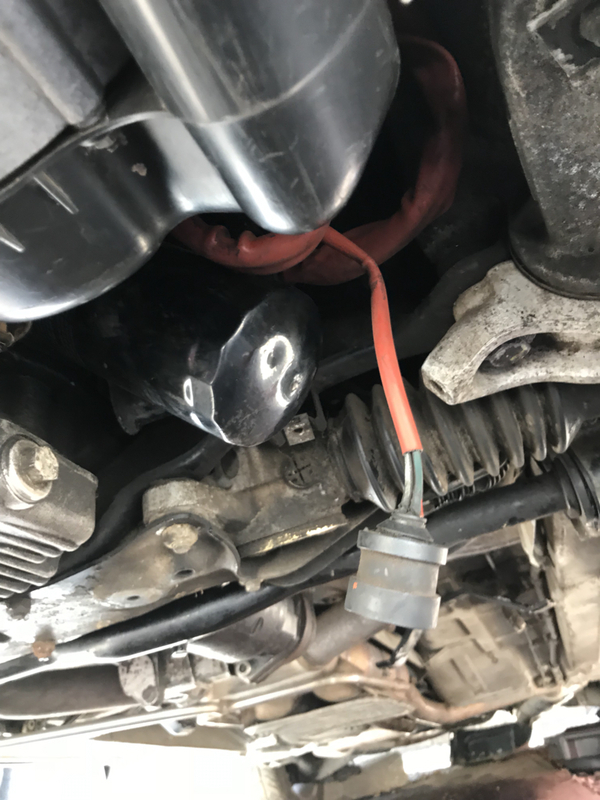 As Stan notes, the workshop manual has pics of the different coding plug configurations - they're cheap and available from 928 vendors/porsche dealerships, just make sure you order the correct part for your car's config. 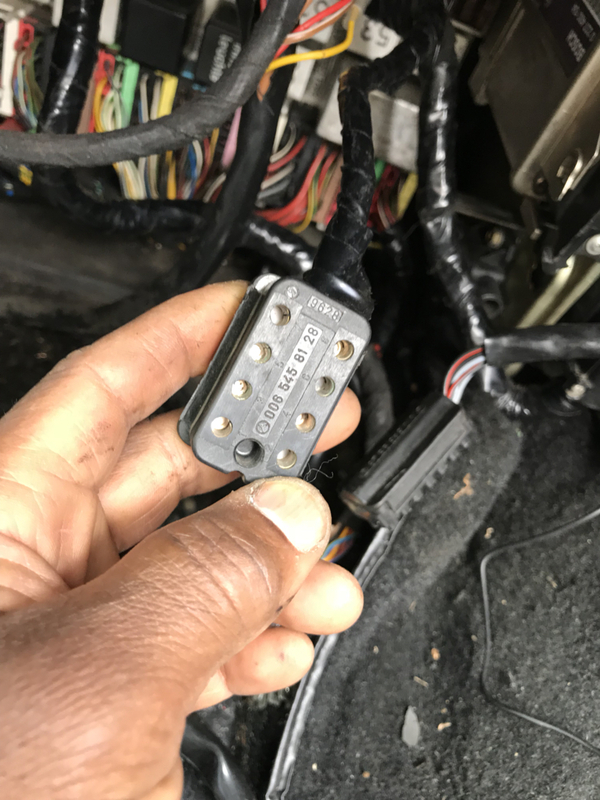 Looks like you've got a non-cat car as I can see what appears to be the CO adjuster potentiometer next to your ECU, so you'll need the coding plug to match. Thanks so much for the information. I finally knows what goes there. I ordered the parts. I found this plug in the car. Guess it's. not the one I need. 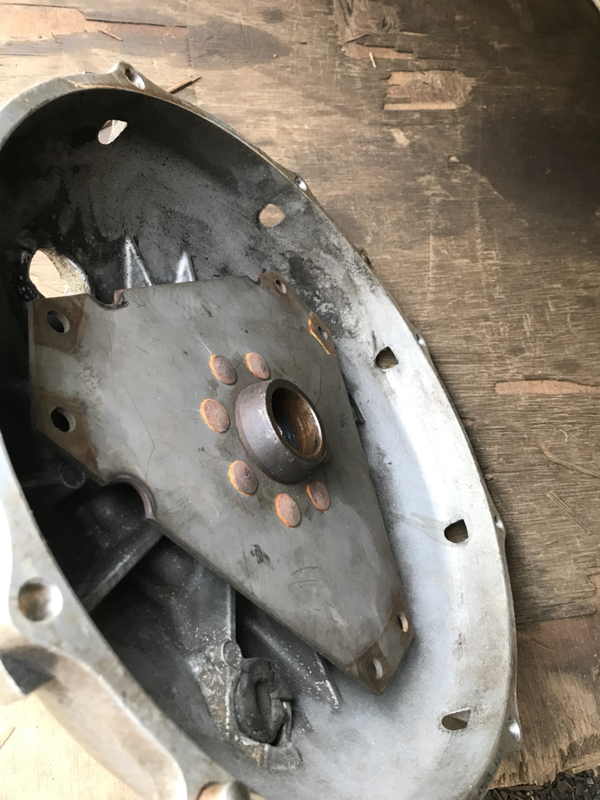 I didn't tighten the 13mm nut on the starter. 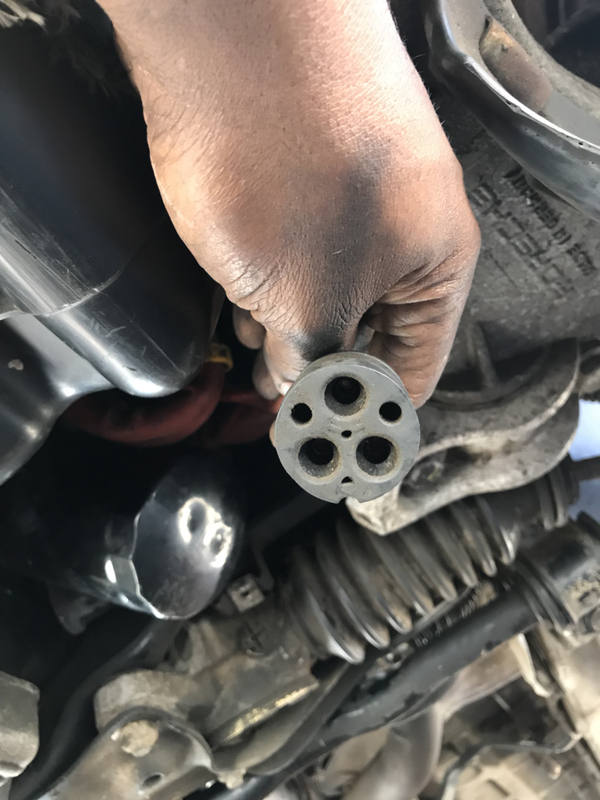 I found this plug in the engine harness. Since I don't see a harness for the oil pressure switch I can only guess that missing harness plugs in here. I seem stuck. The engine turns and the cps shows proper resistance, new fuel pump works when I manually close the relay. Guess I should wait for the other relay beside the ecus. 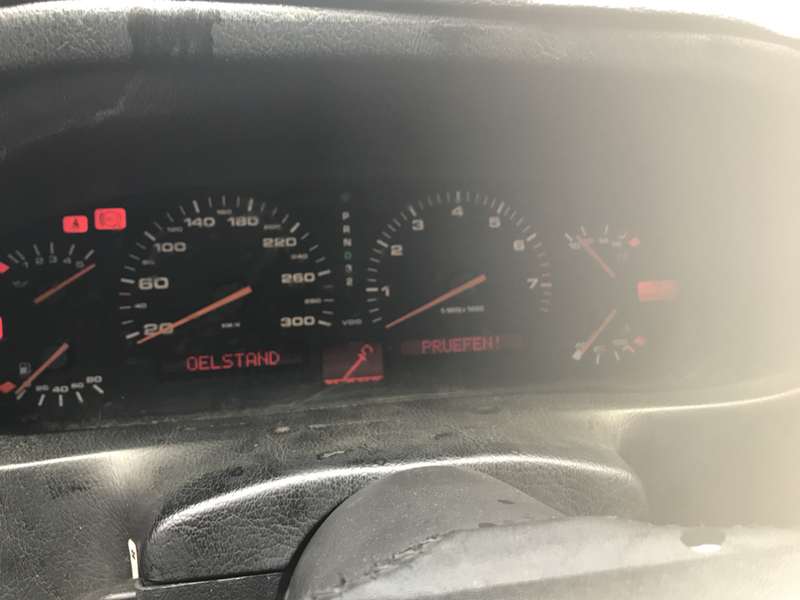 Interior lights and digital instruments don't work. 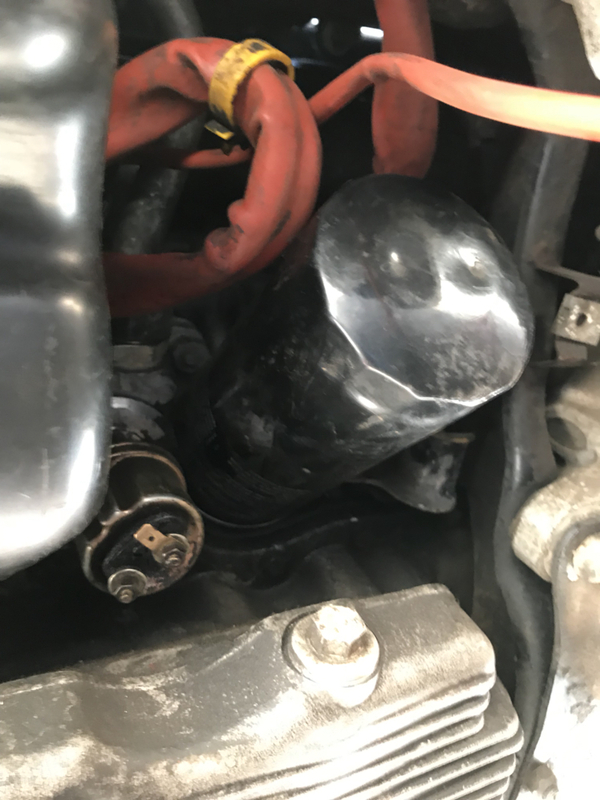 The headlight motor suddenly won't stop rotating up and eventually hits her ac condenser. It didn't do that before. Today I cleaned the car and fed the leather. 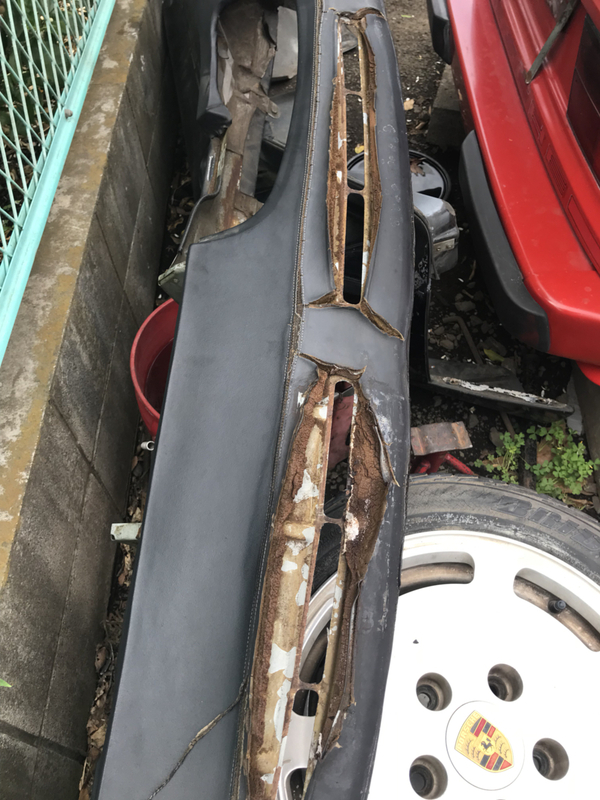 Gonna try to repair the dash. Got the dash and interior lights.!! I replaced the cps. 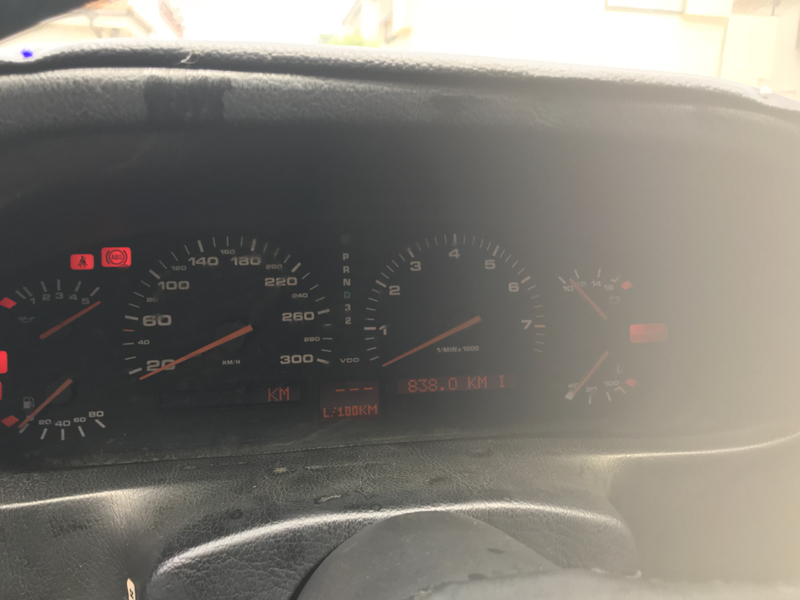 Now I get fuel pump on when cranking, fuel in the rails but no tach bounce and no spark. The ezk relay closes when cranking. I have power at the coils. I'll check for power at the injectors this weekend. 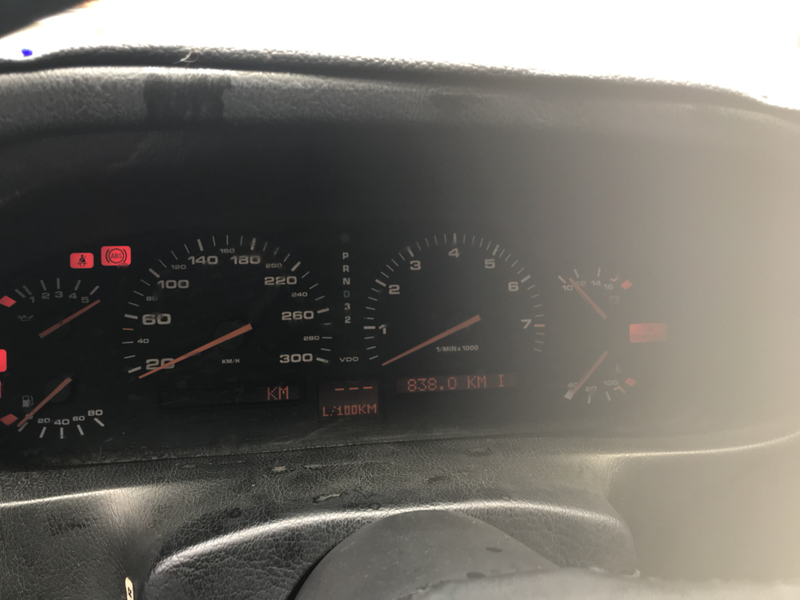 Is there any reason why the tach won't bounce? Also cranking kills my battery really fast. I may get 2-3 mins of cranking. It starts and runs well now. New radiator!! I filled the transmission it engaged gears once then next day nothing. I flushed the atf but still no pumping. 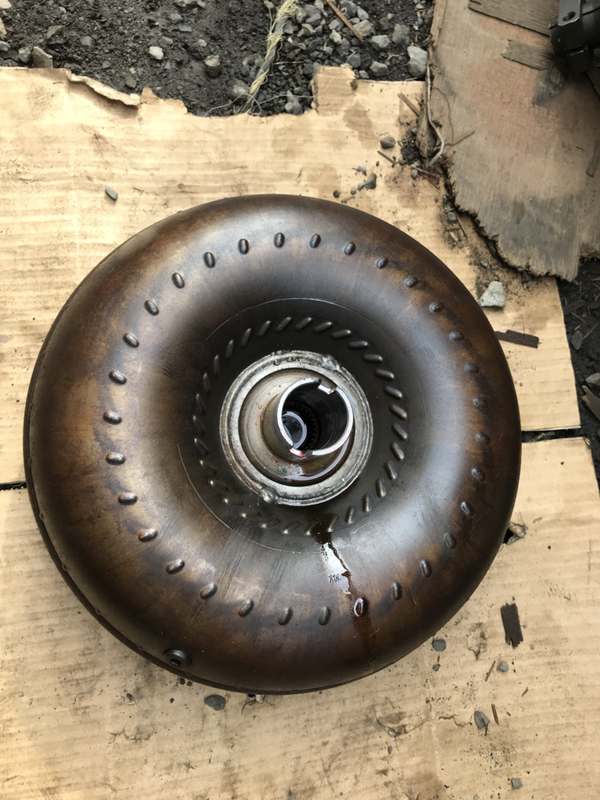 I removed the torque converter again clearly it wasn't seated. It seams when I attach the drive flange it pulls the tc forward. And hints ? I measured the torque converter clearance and reinstalled everything. But still nothing. It appears there is no pump pressure. Only a slight whirring noise can be heard when I shut the engine down. I flushed the atf and cleaned the filter. The atf is half full according to the side tank. And the level doesn't change when the engine is running. Keep pushing bro! This will be a great victory for persistence. Looking forward to seeing the video of that V8 burbling away. Last edited by Orantes; 07-19-2018 at 11:31 PM. No oil leak. It took about 4 cycles of fill, run engine for 10 seconds and it was full. I cycled it through PND 4 times then her rebirth. I did the victory dance.
. Proper new plugs and she fires up right away. Next, wires. Drove it about 500m from my parking spot to my house. Today I did: steering rack boots, front brake pads, front steel braided brake hoses, left front strut, that was fun, lots of wire brushing. The shifter cable is kinked at the guide tube. 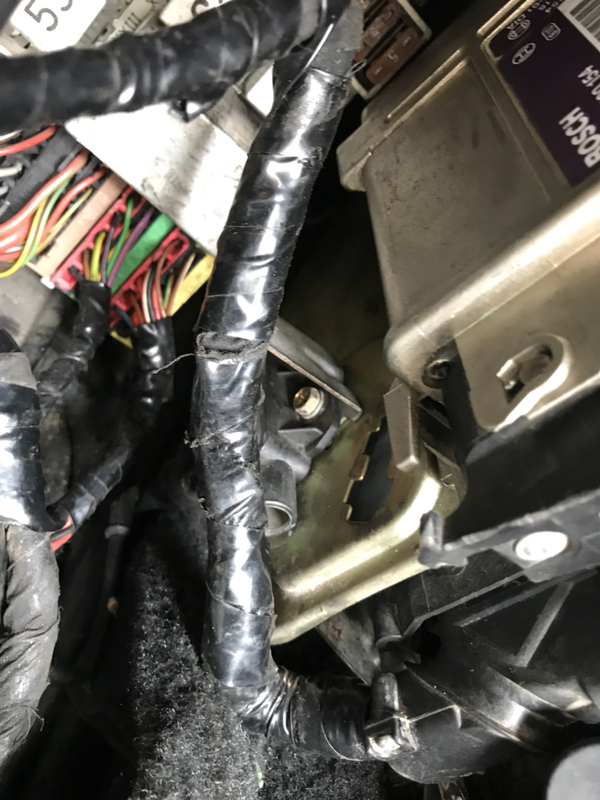 Research says new cable, but there has got to be a way to repair it. Any ideas?